October. I’m in denial. I know it’s technically fall, but living in south Texas and continuing to rock shorts and tanks on any given day… it’s hard to get into that warm, cozy “fall” feeling…. leggings, sweaters and boots seem far away…..
Add to that the commercial Christmas bus will be barreling down on us shortly…. but…… let’s address another big hyped thing that occurs with the beginning of Fall and all things cozy…. 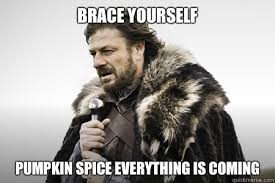 Of course among all of the orange and spicy offerings it’s not officially Fall till Starbucks launches their Pumpkin Spice Lattes. Now I’m not bashing the entire pumpkin thing. Not at all. I happen to like a lot of tasty offerings… my mom made an amazing pumpkin bread and I make pumpkin spice cookies that will make you drool. There is something about the combo of pumpkin and those spices that feels… homey and comforting and all things relaxed. Right ? Can I get a raised Pumpkin Spice Latte in salute?? Maybe that’s what it is. After a long summer we’re ready to shift gears into a new change of seasons. We want to embrace crisp cool mornings,bulky sweaters and yes, cute boots. 😉 And what better way than a drink or special food that feels like those things ? I found a couple items this week in my contribution to all things Fall and wonderful…. 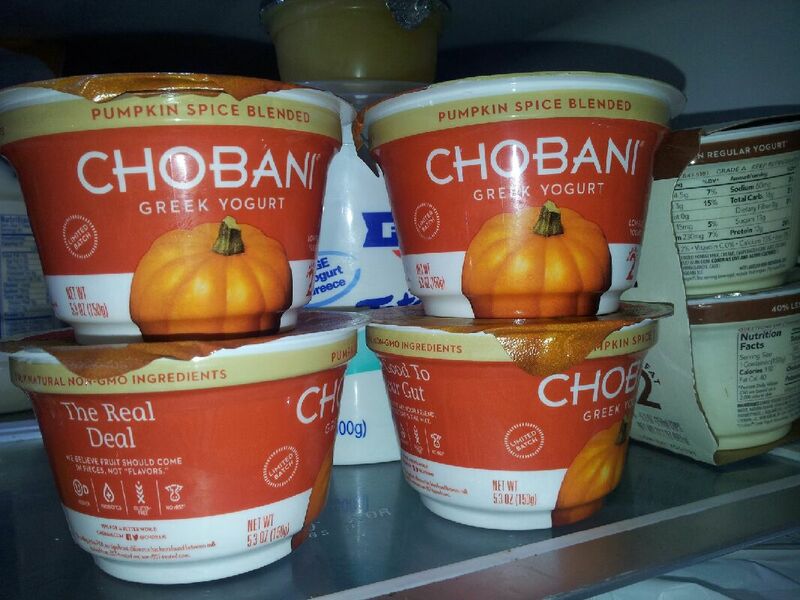 Chobani has launched another limited edition flavor in, yes you guessed it, pumpkin spice. I had my first yesterday ( I always buy one of a new flavor incase I hate it and it makes me gag 😉 I love Chobani’s Greek yogurt as I find it lower in sugar and the texture can’t be beat. My favorite “go-to” is the coconut one. But I can easily be swayed away when there’s a new kid on the block. The other item I found was this…. 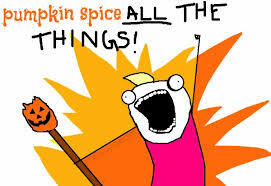 You don’t have to look to far and wide to find there are lots of products being offered up right now if Pumpkin Spice is your big thing…. Ohhhh…. maybe the spiced cream cheese for the bagels ?? I’m not sure about the chips though. What about you ? Do you look forward to Pumpkin Spice season ? Do you have favor things you anticipate ?